It’s easy for those of us in senior leadership to look back nostalgically on our formative experiences of starting work. Whether that was in the 1960s when politicians told us we “never had it so good,” the 1970s when it was still possible to go straight from school at 16 into the work place, or the 1980s when tertiary education was still free. Despite the economic booms and busts we believed life would generally get better and it was normal for each generation to be more prosperous than the one before. As Douglas Adams, that brilliant commentator on the universe, reminded us, “Whatever you are born with, is normal”. How things have changed. Talk to anyone born in the late 1990s entering the workplace now and you soon realise that their “normal” is insecurity. There is no shortage of descriptive epithets to ascribe to this cohort of young people. ‘Generation Rent’, ‘Millennials’, ‘Generation Y’. Some cynics have even termed them ‘Generation Maybe’, because when overwhelmed by so many possibilities, they claim young people find it hard to commit to anything. But whilst there is no accepted definition or way of classifying this group they are nevertheless, the largest age group to emerge since the baby boom generation, and a group that accountancy firm Deloitte predicts will make up 75% of the global workforce by 2025. Millennials may be better educated, better connected, more globally minded, and able to promote themselves with staggering confidence, but they still need nurturing and support as they enter the workplace, paradoxically more so than previous generations. Schools find it difficult to teach ‘employability’ within the curriculum, and even the 2-week annual Work Experience placement has been cut as a mandatory requirement. We used to say, “recruit for attitude, train for skills” but now many employers are having to do both. However, into this mix something else has been added; this generation is connected like no other; connected through the internet to each other, but also to a wider-world of possibilities. Through this interaction they are learning that the world is not as it should be. Like generations before them, many feel impotent to act. However, I believe Millennials are a generation who want to act to make a difference and that includes at their workplace. Indeed, studies show that this generation is looking for more than a financial reward from their jobs. What they want is work which is aligned to their values and ethical practices and gives them a greater sense of meaning and purpose to their lives. So how can companies, especially international ones, tap into this hunger and opportunity? How can we train our staff to innovate and become skilled leaders in their profession, but also for their community? How can we enable them to become real global leaders? Many companies in the UK are excellent at demonstrating their collective global corporate social responsibility, but are we missing an opportunity to support our young employees in growing and honing their personal local responsibility? Is there a bigger role that companies could be playing in developing leaders, whilst at the same time building successful, flexible businesses, especially if the two are linked? One company which is pioneering a response to this challenge is Leonardo Helicopters (formerly AgustaWestland) based in Yeovil. Last week I spoke at their apprentice and trainee awards ceremony which sought to recognise the achievements of the 150 apprentices and trainees who undertake up to 4-years of training. Many of the innovations in aerospace have come from this world-class engineering company. However, another innovation is taking place from the bottom up which I believe is relevant to all companies seeking to inspire and motivate their millennials in the work place. What they are modelling also has potential to disrupt the way many companies approach Corporate Social Responsibility. As part of Leonardo’s apprenticeship and training schemes, the young people organise themselves to co-design several assignments, one of which is to decide as a group how they can support a non-profit organisation. Whilst it is not uncommon for employee-giving programmes to find a local cause, or to team-up with a well-known, high-profile charity which helps add value to a company’s branding and marketing, it was fascinating to see that this group of young people chose a relatively small charity, ‘School in a Bag.’ Furthermore, this wasn’t a one-off modest campaign. 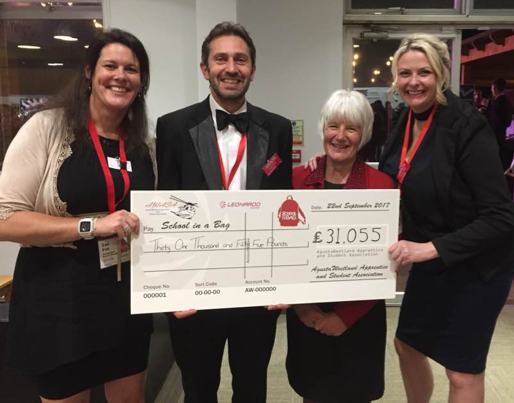 They committed to an outrageous two-year target to raise £65,000 to build a school half-way up the Himalayas in Nepal. Not too difficult if half of this was matched by the company, but no, this was to be raised entirely by the workforce. So, what are the ingredients they have used to create this unusual recipe for change? Is there an intentional strategy here, or is this something which has simply grown organically as a result of empowering young people in the workplace to have both a voice and a genuine choice? Is this something which other companies could learn from and replicate as they strive to grow their own leaders? Presenting with me at the event was John Ponsonby the Managing Director of the Leonardo Helicopters in the UK, who shared with me what he had learnt from his many years in business and what made this initiative a vital element in attracting the best engineers. “This is one of the most important schemes our company has invested in because through it young people’s leadership skills are honed. We give them permission to “stretch” us and challenge us. You can’t do this in theory and these young people are leading by example in an issue they feel passionate about. Yes, it is ambitious and it will involve them taking personal responsibility and mobilising and motivating their peers to do the right thing but the rewards are immeasurable.” He is right; Millennials are a restless bunch, they have high expectations. When this is combined with boldness and drive and the skills to harness social media and put the fun back into fundraising activities, the results can be extraordinary. Linking a small-under resourced charity to a large company creates something personal and relevant. That’s not to say that national charities with local teams don’t work well with employees, but young people often want to back something small, innovative and personal to them and in that sense size of operation doesn’t matter. What does matter is the size of ambition! Finally, this programme has follow-through. At the awards night John announced that the company was so impressed with the vision of the young apprentices that they were going to provide opportunities for two of the group to go out to Nepal to work on the project and learn from the Mondo staff (the charity School in a Bag partners with) on the ground. 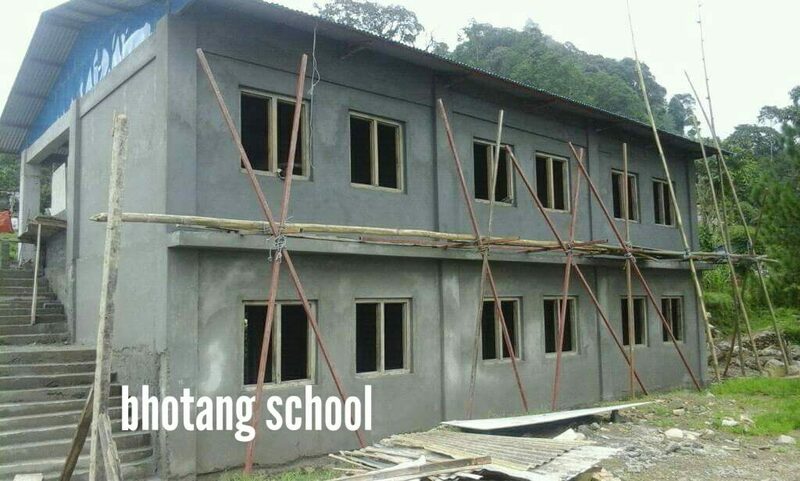 In future years the company may be able to reciprocate and bring a Nepalese student to England to undertake the apprenticeship programme or innovate in using ICT to teach engineering skills in the Nepali school. For make no mistake the need is enormous. 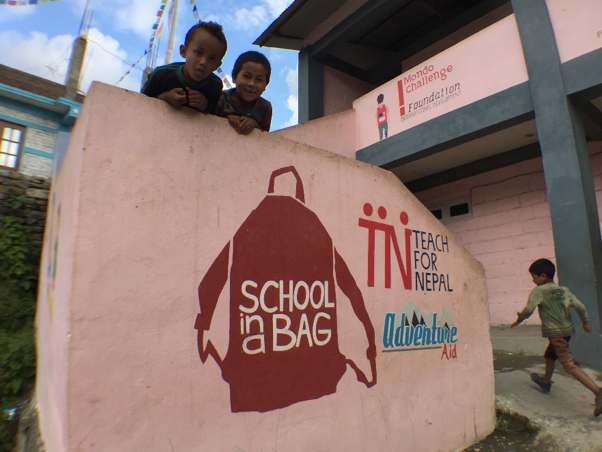 In the region where Mondo works 470 of the 545 schools were destroyed by the earthquake in 2015. And so, the conversation progressed to whether shareholders had an appetite to see companies mobilising their workforces to be agents of wider change; how the ‘School in a Bag’ model could be expanded to support those caught up in the Refugee Crisis in their country; the nuisances of CSR programmes and the challenges of adapting business practices to meet the expectations of a new generation of workers. What we agreed on was that what was being modelled here in England was exciting: An international global company partnering with the smallest of charities to create a legacy project which will impact on the lives of thousands of desperately poor children for generations to come. Isn’t that a tangible way to illustrate company values of partnership, reciprocal learning, global citizenship and commitment to education in its broadest sense?